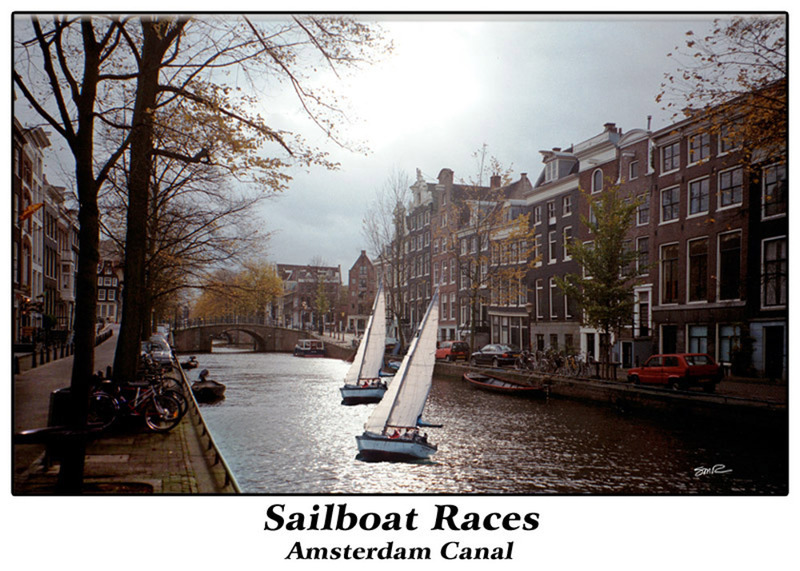 The photographs on this page show some of the variations that can be done to “real” photographs. They represent some artistic, and some whimsical modifications that I dreamed up. Grab the handle in the middle of the image and drag it to the right to see the “before” image, and to the left to see the “after” image. This set of images was created from a scanned 35mm negatives of a photographs taken in Geveva, Switzerland back in the mid 1990’s. I had my first copy of Photoshop 3, and was learning the secrets of it as I produced this creation. 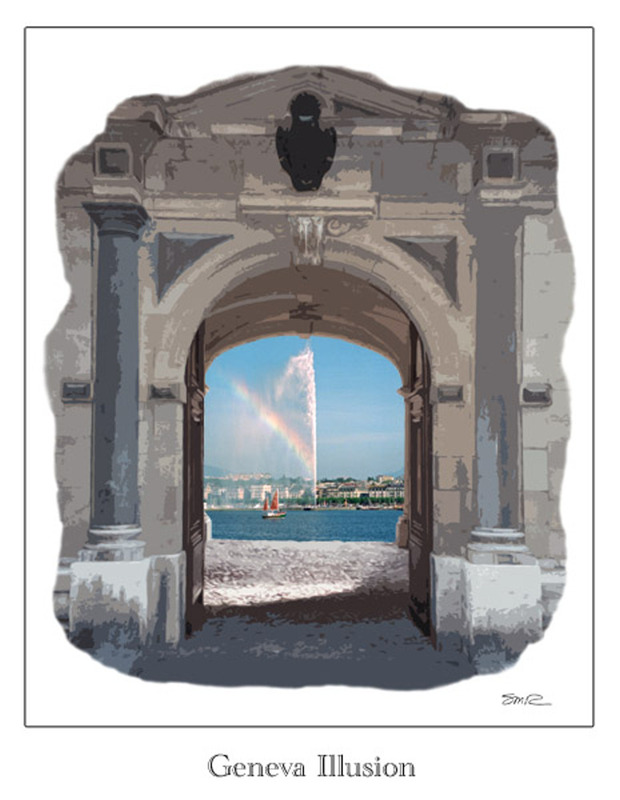 The huge water fountain that I superimposed in the archway is one of Geneva’s pride and joys… it sends water over 450 feet high into the air. 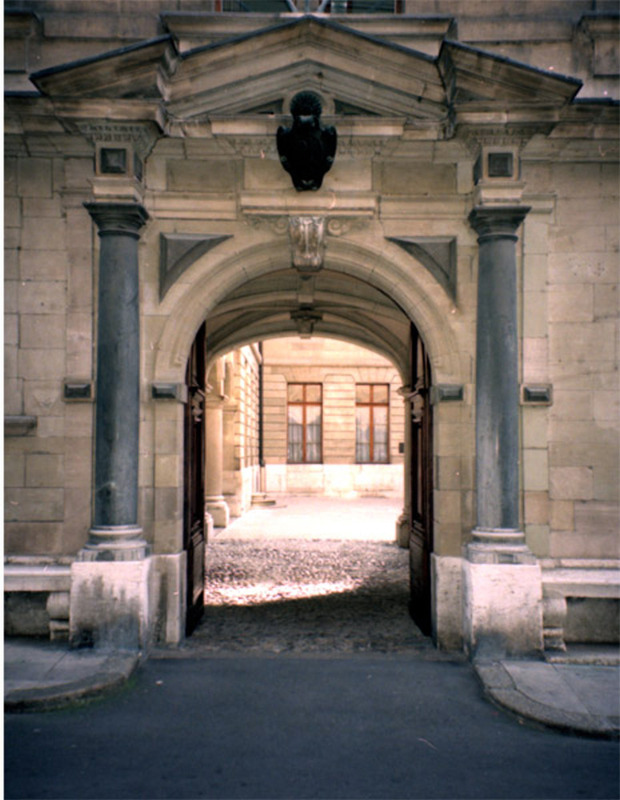 The Before image is the original “as-shot” photo of an entrance courtyard at one of the old Geneva buildings. The After image is cropped and modified to please my artistic senses. 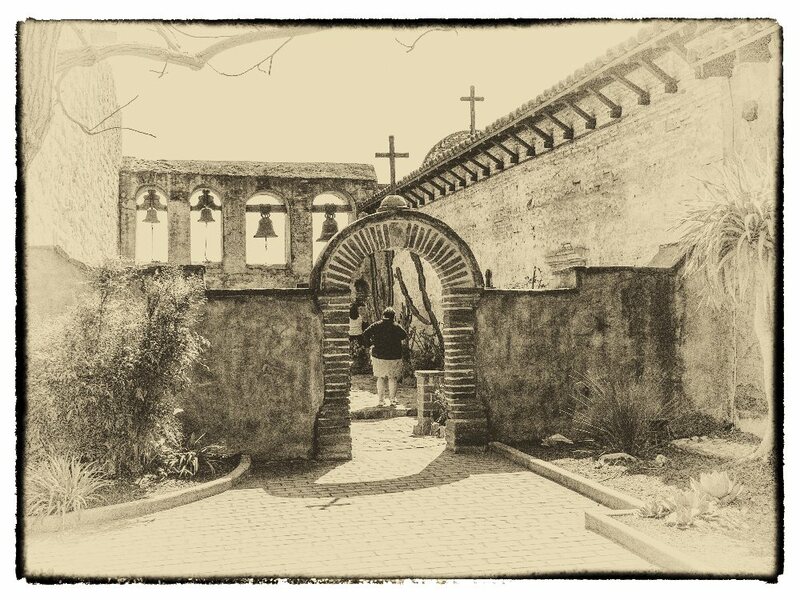 I then decided that using the archway as a frame for the water fountain, with some additional artistic effects, would add another dimension. 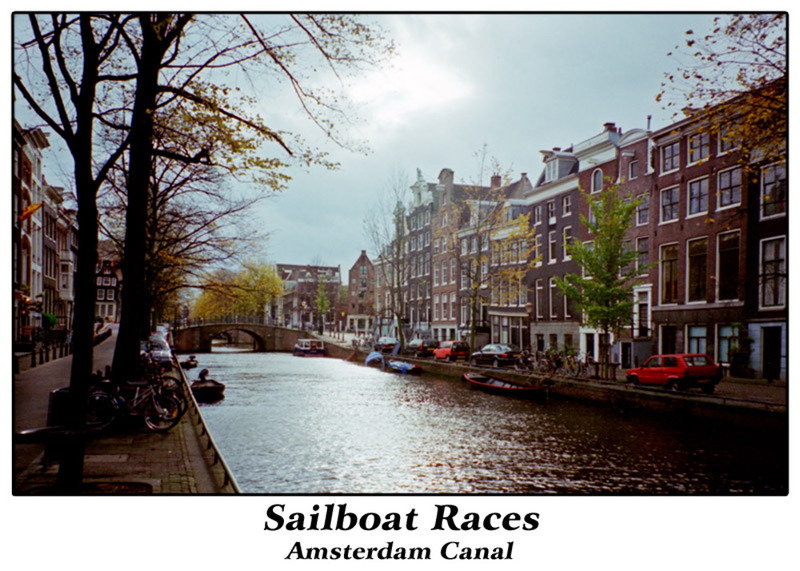 The Before image is the original “as-shot” scan from a 35mm negative of an Amsterdam canal. The photo was taken from one of the street bridges looking toward the next street’s bridge. Note that these bridges are low, with less than 10 feet of clearance below them to the water. In the After image, I changed the color and lighting for the mood I wanted, and added two sailboats in hot racing pursuit… a totally impossible situation, but fun to do. 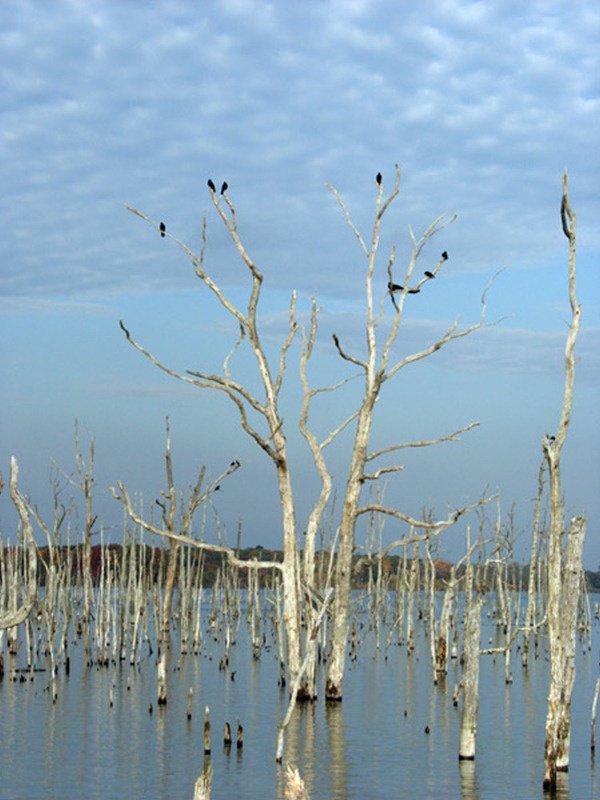 The Before image is the original “as-shot” photo of “once-was-trees” that populate the Manasquan Reservoir in New Jersey. It was a dreary day and there were a few black birds on the barren branches when I took the picture. The After image is the way I imagined that Alfred Hitchcock meant it to be (from his famous chiller movie “The Birds”). 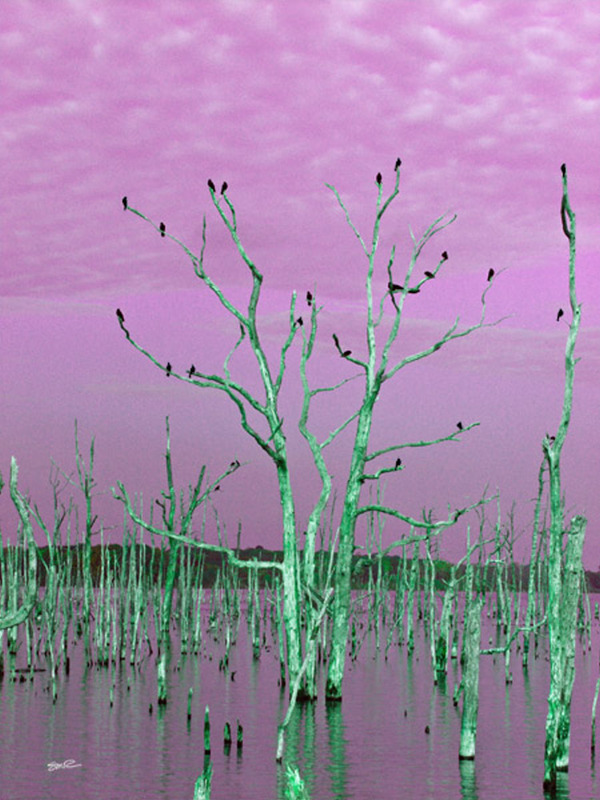 As I was re-coloring the picture, a whole bunch of additional birds flew into Photoshop to add the the final effect. I decided to enter this photo in the 2009 October Juried Show at the Guild of Creative Art, but as much as I liked the original photo, I thought that some modifications would enhance the artistic nature of it. 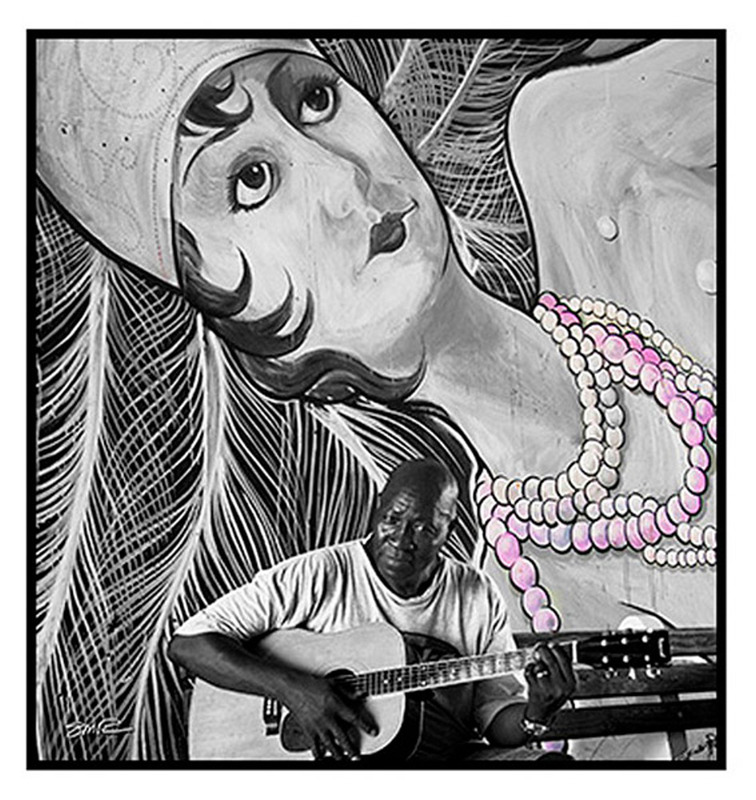 The After photo is monochrome, except for the pink string of pearls on the mural. This was just right to take First Place in the Photography category of the show. 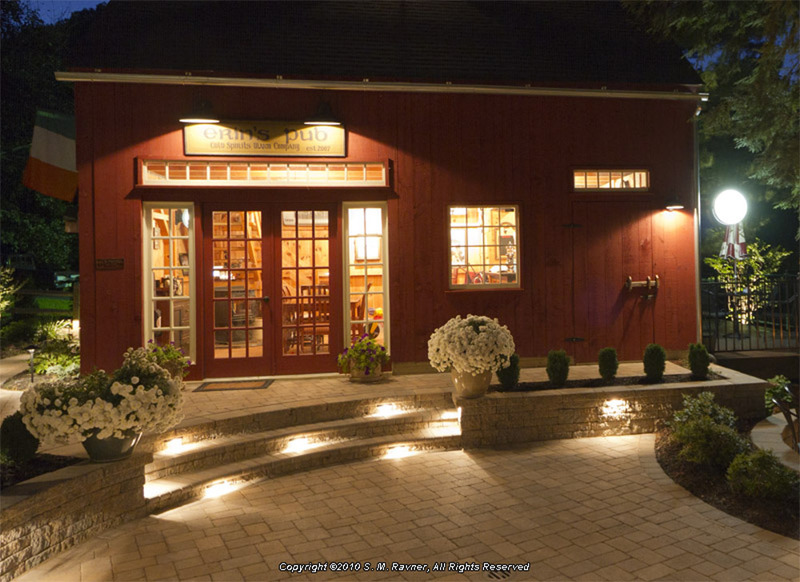 The Before image is the original “as-shot” nighttime photo of Erin’s Pub (originally a barn). The After image is a highly stylized artistic representation of the original, using High Dynamic Range (HDR) techniques. 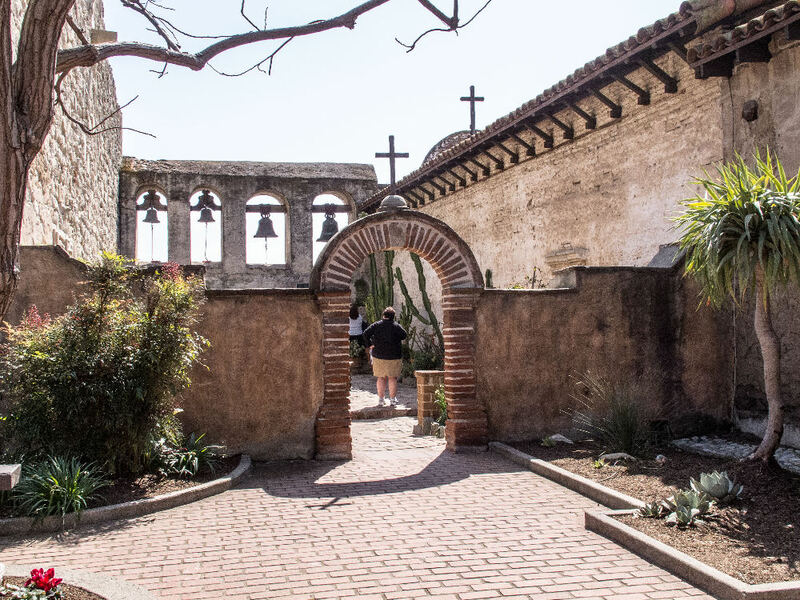 The Before image is the original “as-shot” color photo taken at the old San Juan Capistrano monastery in California. The After image is a highly stylized artistic monochrome representation of the original, using High Dynamic Range (HDR) techniques. 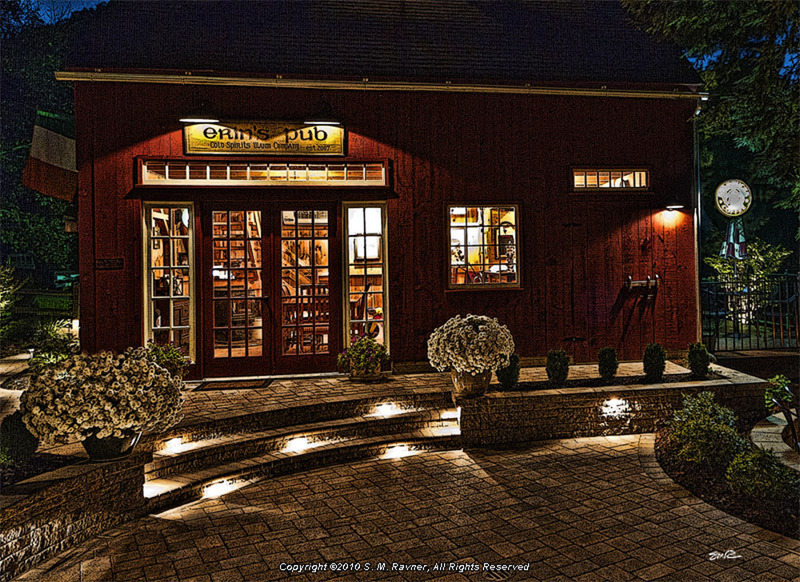 I wanted something more dramatic, so instead of using my normal workflow of Lightroom and Photoshop with plugins (like NIK or On1), I used my recently purchased program Franzis HDR Projects 4 Professional to create the image conversion. The result is exactly as I envisioned it. This monochrome HDR image received many compliments at a recent Guild of Creative Arts Exhibition.